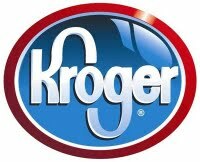 Here are your Kroger Cincinnati deals for this week thanks to Savings Lifestyle. Make sure to load up your Cellfire coupons onto your Kroger Card. Net Price $1.29 each | $0.99 each after Instant Reward when you buy 10! Net Price $0.99 each | $0.69 each after Instant Reward when you buy 10! Net Price $0.59 each | $0.29 each after Instant Reward when you buy 10! Net Price $1.49 each | $1.19 each after Instant Reward when you buy 10!